So you have decided that you are going to take a seat beneath the bright lights for some fun and excitement and the chance to win BIG. That’s great. However, if you are among those people who don’t have much experience with gambling, walking into an (online) casino can be a lot to take in. Not at the Silver Oak Casino. Here at Silver Oak, we want to see you both winning and having fun. A real “Vegas” casino experience would not be complete if you have only one of these things but not the other. That’s why we’re going to walk you through why Punto Banco, the North American version of baccarat, is the easiest and best game for beginners to start playing. You’re going to love it. 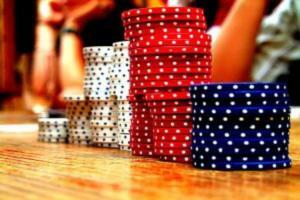 Games like online Blackjack where you have to rely on other people can be even more fun because of that fact. After all, the only thing better than winning, is winning with your (newly made friends). However, sometimes you sit down beside someone that, from the first second you look into their reddened, sleep-deprived eyes, you recognize (thinks they) know the “system.” So if you don’t, they are going to bark at you like an angry wolf hound for making mistakes. Mistakes? People barking like wolf hounds? Ain’t nobody got time for that. That’s where the simplistic beauty of Punto Banco comes into play. What Makes Punto Banco So Good for Beginners? The main thing that makes Punto Banco so ideal for beginners is the fact that you can just sit back and relax. Unlike almost every other card game, Punto Banco requires absolutely no strategy. You just bet, and then you wait to see what happens. A complete lack of strategy is going to have the same effectiveness as someone just blindly betting, so you have no fear of making the “wrong move.” That means if you are a gambler who isn’t all that versed in strategy (yet), then baccarat is definitely the game for you because there is no keener staring you down every time you have to make a decision ready to blow a gasket. You eliminate any stress or worry, allowing you to put your attention to where it really matters: into the eyes of Lady Luck. And with this newfound degree of comfort, you can start to pay mind, completely at your own pace, to the strategies involved in the other games. Perhaps you will walk away from the Punto Banco table with the bankroll to start playing Blackjack or Backgammon. When this happens you can grin at the other gamblers with a knowing grin. You’re in the club now. You are one of the veterans. The suggestion to try your hand at a couple in baccarat does not come out of nowhere. Punto Banco is actually the most popular table game on the strip as of 2011, beating out blackjack for the new title. On the Strip, the revenue of only about 200 baccarat tables now dwarfs the revenue of nearly 900 blackjack tables, according to a recent talk given by Rosemary Cook at the Global Gambling Expo in 2012. Definitely check out our Baccarat Strategies post for the full explanation regarding the rules and interesting aspects of Punto Banco. There are not many rules, but there is a couple. Check them out before you jump into that first game. Or, jump right into the action with our online baccarat games.